What is a ‘crumpwich,’ you ask? The British staple comes stateside, with a twist. For the uninitiated, crumpets, apparently of English origin, are warm, spongy griddle cakes. They’re usually served as daytime fare, as a breakfast cake with jam and whipped butter, or, if you really want to do it old school, as a snack with afternoon tea. Queen Bee takes crumpets to a new level, though, with offerings that venture well beyond the traditional. The menu: Orders come with two house-baked crumpets that are toasted and loaded with decadent toppings. The traditional version comes with double cream whipped butter and either honey or preserves ($6.50). The blackberry crumble has a cinnamon-vanilla glaze, maple crumble and cream ($7.95). 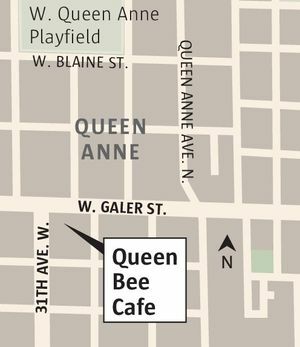 Queen Bee chef Justin Sledge, formerly of Cafe Juanita in Kirkland, doesn’t stop there. The larger “crumpwiches” include versions with honey-baked ham, fried egg and cheese ($10.95), jerk chicken ($11.95) and prime roast beef ($13.95). I opted for the Cuban pork crumpwich ($13.95) and the smoked turkey and avocado crumpwich ($11.95), which came with small sides of house salad and sweet-potato chips, respectively. 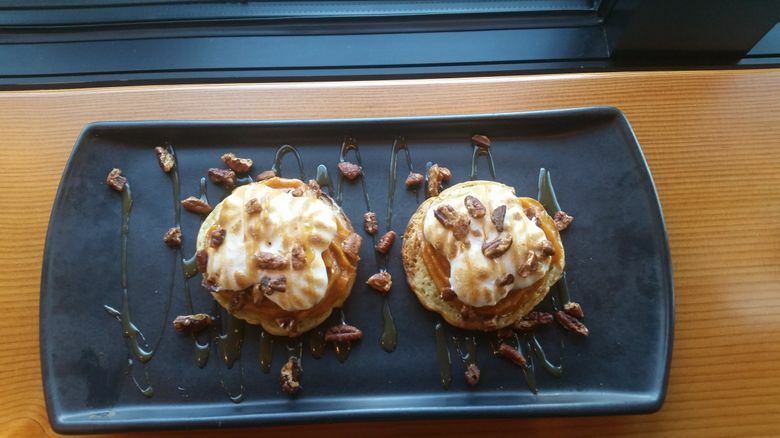 For dessert, try the obligatory, seasonal and extraordinarily good pumpkin-pie crumpet, topped with toasted meringue ($7.95). What to write home about: The generously stuffed Cuban pork crumpwich ($13.25), with melted Swiss cheese, caramelized onions, pickles and spicy mustard to add to the perfectly tender, sliced meat, was just as messy as our server warned it would be and delicious. The setting: The petite space is just big enough for a cafe counter, where customers go to place their orders, and a few tables. 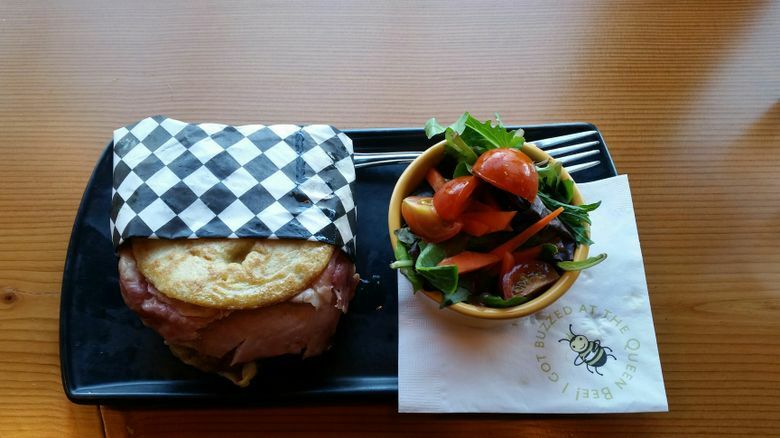 Summing up: A Cuban pork crumpwich ($13.25), smoked turkey crumpwich ($11.95), blackberry crumble ($7.95) and pumpkin-pie crumpet ($7.95) came to $45.05 plus tip.